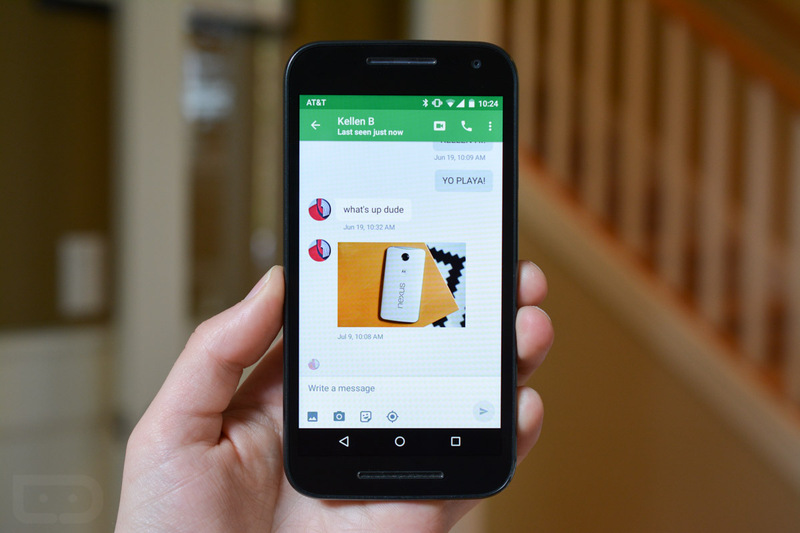 Question of the Day: Thoughts on Hangouts 4.0? Now that you have spent a solid 24 hours with the new Hangouts 4.0, we want to know if it is all that you ever dreamed of in a messaging application. Or, did it at least address any number of issues you had with it to help give it some consideration in your daily life? I feel like we had been talking about this version of Hangouts 4.0 for weeks upon weeks leading up to yesterday, thanks to an early Android sneak peek followed by the official release of 4.0 to iOS. We have really known what to expect, but it’s all a reality now. The newly polished Material Design exterior, the simpler conversation view with FAB, improved group messaging for Google Voice users, outbound caller ID in the Hangouts Dialer, voice actions support for Android Wear, etc. are all here. I can tell you that I am somewhat pleased, but the app still lacks one major issue. This Hangouts 4.0 build also seems a bit sluggish to me as well, even though it is supposed to be faster than ever. My biggest complaint is that Google hasn’t enabled access to the slideout navigation menu from just anywhere. For example, in Google Play, I can always swipe from the left edge and access the nav menu to switch accounts or jump to My Apps. I want to do that with Hangouts because I switch counts all of the time. Currently, and as was the case previously, I have to tap the back arrow in the top left corner to exit a conversation, before being able to then swipe from the left edge to access the nav menu. That’s an unnecessary and often times infuriating extra step. As for the slowness, this also relates to account switching. Has anyone else noticed that when changing accounts, Hangouts now spins for a second and then tells you that you are now signed in to your new account? I don’t recall it doing that previously or being this slow. Or maybe it’s just the new prompts that make it seem slower? I do like the new look and FAB and conversations view, but Hangouts still has some work. We’re getting there, though. So, what do you think? Is this a major improvement? Do you love Hangouts again? Or are you still using something else?